Talented, creative hairdressing = the best hairstyle. We are passionate about everything hair. Our salon in Brisbane's leafy Chapel Hill (near Indooroopilly, and Kenmore) Salon Inovo is dedicated to delivering modest glamour and a great hairstyle in a relaxed and sociable atmosphere. Offering over 40 years experience in hairdressing. 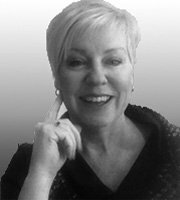 Managing Director and Creative Stylist Sandra Lamb - has been in the industry for over 40 years. Her passion for the perfect marriage of style and colour, and listening to the clients past experiences to determine their needs is completely evident, thus setting the client totally at ease during the consultation. With so many years of service in the hair and beauty industry her experience, expertise and her understanding of her clients personal needs. This is her greatest asset as a hairdresser! Throughout her career she has owned and run many successful hairdressing businesses, and salons, developed franchise concepts, freelanced as a hairdresser / stylist in film and television, created hairstyles for photographic shoots, and training seminars. Sandra is passionate and enthusiastic about hairdressing and the importance of "the right cut and colour, being the foundation of the perfect hairstyle". She says "You see a woman with a stunning hairstyle - notice the confidence and poise with which she carries it - she is comfortable with herself "this is my goal as a hairdresser to find that place for every one of my clients"
At Salon Inovo we value the clients time and don't believe in overbooking or squeezing in appointments. Our salon is a place where our clients can retreat from the everyday "everything's", in a relaxed and intimate environment, where they will receive friendly professional services and advice for all their hair care needs.